Ajay Devgn unveiled the second theatrical trailer of Shivaay on 24 October. This second trailer comes with the tag, 'Every Family Has A Story'. 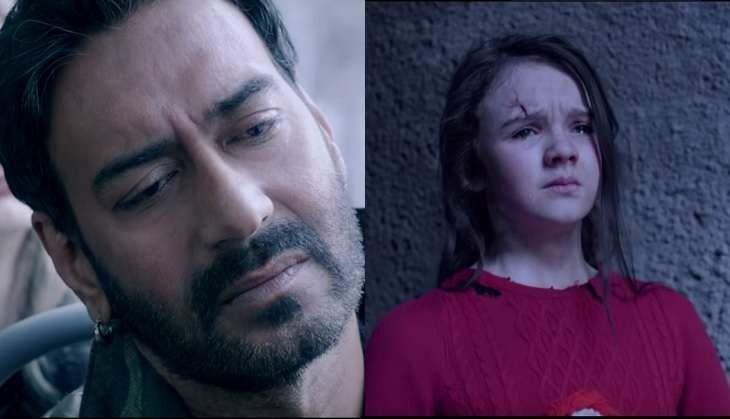 The 2 minute, 30 seconds trailer allows viewers a peek into the bond between a father and a daughter, as played by Ajay Devgn and Abigail Eames, respectively. Devgn had previously promised that the second trailer would showcase the emotional quotient of the action thriller. While the second trailer shows off the impressive visual effects of the film, it fails to live up to the hype of the first one, which was replete with high-octane action sequences. The two trailers will add to the excitement of the Diwali release, which also stars Sayyeshaa Saigal and Erika Kaar in pivotal roles. The action thriller is slated to hit the big screen on 28 October. Race 3: Will Salman Khan sign on for his first ever negative role? READ NEXT >> Race 3: Will Salman Khan sign on for his first ever negative role?